The actor is rumored to have left TVB for good after more than 30 years at the station, and is no longer listed on its official website. Louis Yuen (阮兆祥), whose contract is said to have expired this month, joined TVB in 1984. Although he left the station once in 1997, the 51-year-old actor eventually returned and starred in many classic dramas, including Heart of Greed <溏心風暴>, Virtues of Harmony <皆大歡喜> and Brother’s Keeper <巨輪>. 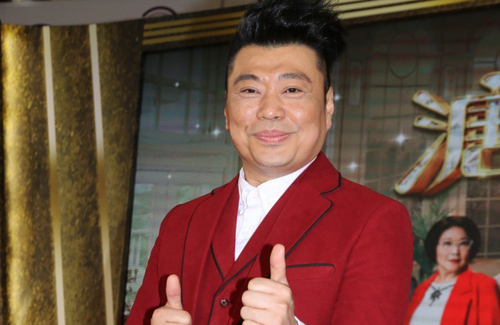 One of the station’s rare comedic personalities, he also appeared on the long-running program Super Trio <獎門人> along with Eric Tsang (曾志偉), and proved his mettle by nabbing the “Best Program Host” award at 2009’s TVB Anniversary Awards. Although Louis did film many dramas in recent years, and was only seen in The Forgotten Valley <平安谷之詭谷傳說 > last year, the multi-hyphenate performer also dabbled in hosting radio programs and regularly appears in Mainland Chinese commercial gigs, and wrapped up a Singapore theatrical production recently with veterans Michelle Yim (米雪) and Ha Yu (夏雨). Louis likely enjoys a good income. The actor has yet to reply to reporters who reached out to him for comment over his departure at TVB. Born in 1967, Louis joined a singing talent contest in 1984 and officially made his debut as a singer. He joined TVB thereafter as a host and appeared on many programs including Jade Solid Gold <劲歌金曲>. Appearing in Enjoy Yourself Tonight <欢乐今宵> later, Louis impressed viewers and gained recognition as a comedian, an image which has stuck until today. Besides being a proficient host, he also left a deep impression with his acting, with the most representative role being Lau Kam in the well-received Virtues of Harmony. Although he often played second fiddle to other male actors, he made viewers sit up with his memorable acting style in many dramas, showing his versatility in both period and modern dramas including The Legend of Lady Yang <杨贵妃>, Can’t Buy Me Love <公主嫁到>, The Other Truth <真相>, Queens of Diamonds and Hearts <东西宫略>, and more. The actor once said that having been in the industry for so many years, interest rather than money is his key consideration for taking on jobs. He hopes to thank supportive viewers by ensuring the quality of his output. Aww. Another great actor leaving tvb will missed him for sure best of luck for him. he’s certainly talented and it’s such a loss for tvb considering he’s been with them for so long. with these veteran artists leaving, it speaks for how much tvb cares for talents vs cheap labor. That’s unfortunate. Louis is so funny and brings great camaraderie and energy to the cast. 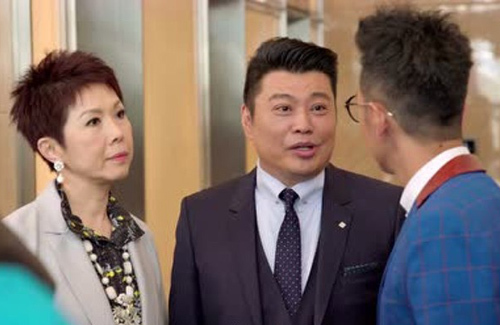 TVB needs to realize that having great supporting actors is what makes the leads and storylines shine. Oh no…I like him even though his acting is kind of samey.